From Ania Haie's 'Twister' Collection, is this gorgeous Gold Helix Twist Necklace. This collection was created to give a feminine twist on an everyday look. These chic, contemporary styles are perfect for layering. 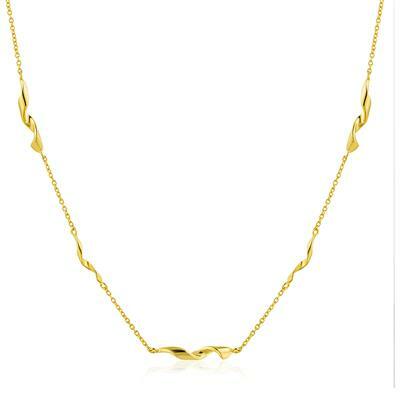 This Ania Haie Gold Helix Twist Necklace features a twisted design along the chain which gives the necklace some extra detailing. This simplistic piece taps into the latest trends, and would be perfect for layering with other Gold necklaces. This necklace would be a perfect gift for her. This Ania Haie necklace is crafted from 925 Sterling Silver with 14k Gold plating.